A Tiny Townley Adventure follows the journey of our first ever Tiny House build! 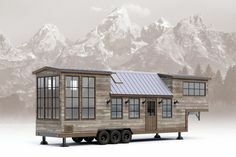 We will be talking about the ups and downs, the real cost of building a Tiny House, and sharing total Tiny House eye candy! More photos of the trailer!